You’ve been meditating for a while now, but you’re starting to wonder if it’s all worth it. You sit down pretty frequently; you attempt these techniques that you’ve come across in books and courses and YouTube videos. But no matter how hard you try, it just doesn’t ‘feel’ like it’s working. You’re starting to a little annoyed, and if we’re honest, maybe even a bit impatient. There’s constant talk about meditation having dozens of benefits. 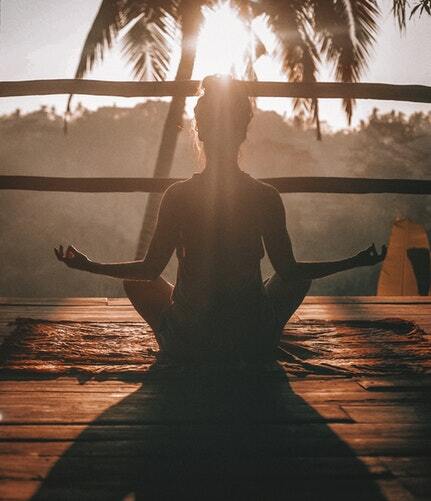 From bettering symptoms of depression and anxiety to improving focus, physical performance and immune system functioning, there have been thousands of studies that have explored the benefits of meditation. There’s also a billion-dollar industry that can’t wait to tell you how quickly it can take away your stress (for a small price of course). Meditation is simple, but that doesn’t mean it’s easy. And I promise if you stick with it, you’ll see the change that you’re looking for. Right now, if you’re not seeing any real benefits, it’s because you’re doing one of three things wrong. You’re not meditating enough. If you’re practicing pretty frequently, really this should mean every single day. And if you do have a daily practice and you’re still not noticing any benefits, you may need to increase the time of your sessions. You don’t have a strong intention. You can be meditating for hours a day, but if you’re not doing so with diligence and purpose, you’re not going to see the rewards that you want. The cliche quality over quantity is important here. You’re not doing the right type of meditation. The last point here is what this article is going to focus on. Not all types of meditation have the same effects. If we don’t clarify this we can start a meditation that we believe is going to do one thing, and does something else. In the same way that a variety of gym routines will exercise different parts of the body, a variety of meditation routines will strengthen different parts of the brain. It’s also useful to note that exercises will be appropriate depending on where you are in your own journey and that in the long run, we want a balanced strategy that ensures the benefits of all of them. Here are four types of meditation and exactly how they change your brain and improve your life. This practice, often referred to as Focused-Attention Meditation (FAM) in the scientific literature, is pretty much exactly what it says. Concentration meditation trains our ability to voluntary direct our attention towards a chosen object. FAM often serves as a basis for other types of meditation. In some Buddhist schools, this is called Samatha. It varies between traditions (i.e. Sri Lankan vs Tibetan vs Korean vs Japanese) but the underlying principles are typically still the same. Initially, FAM shows activation in areas associated with monitoring (dorsolateral prefrontal cortex), engaging attention (visual cortex) and attention orienting (the superior frontal sulcus). However. in long-term practitioners there is less activation in these areas, suggesting that attentional focus becomes less and less taxing on the brain the longer one meditates. It’s also been reported in advanced meditators that feelings of vitality are improved, and there is a reduced need for sleep. Emotional reactivity is also believed to be decreased. Best for: training your mind to concentrate to superhuman degrees and preparing yourself for other forms of meditation. Mindfulness meditation is probably the most well-known technique in West. It’s derived from Vipassana (also known as insight meditation) and involves the development of the ability to non-judgmentally observe thoughts, feelings and sensations as they arise and pass. The capacity to witness the experience without becoming attached or ‘caught up in it,’ is an essential principle of the practice. After having been brought to mainstream Western medicine by Jon Kabbat-Zinn in the 70’s and 80’s, mindfulness has accrued a substantial amount of empirical research around it. It is sometimes known as Open Monitoring Meditation (OM) in scientific research and contrasted with FAM. It’s a common intervention to help deal with anxiety spectrum disorders. Over 20 studies have looked at the neuroscience of mindfulness and found a variety of neural correlates including cortical thickness and grey-matter volume and density. This doesn’t suggest that this technique is the most effective, rather that is has been the most well researched. Improvements in symptoms of depression, stress, anxiety, and general emotional regulation, have been found in a number of mindfulness studies. Importantly, however, there is no solid evidence that it can improve attentional control. Best for: increasing awareness of the subtleties of your experience such as thoughts, sensations, and tendencies. 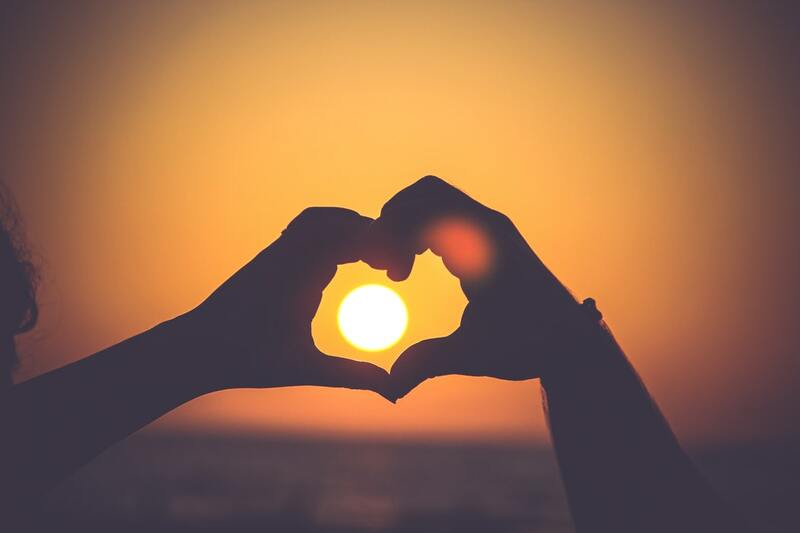 Put simply loving-kindness meditation (LKM) sometimes known as Metta in Buddhism, is the practice of cultivating love and compassion by consciously directing positive well-wishes towards another individual or group. This may seem a little strange for the sceptical and secular practitioner, but it’s an incredibly powerful method. Studies have found that for LKM practitioners, activity in the left ventral anterior cingulate cortex (ACC) was increased both during the meditation and at the baseline. This area of the brain is necessary for identifying the emotional value of stimuli and producing a corresponding emotional state. Also, the right inferior frontal gyrus (IFG), which is important for the regulation of emotional responses, was found to be activated during LKM. This suggests that LKM can increase our ability to experience the positive emotions of others, while also improving their emotional regulation, therefore decreasing the likelihood that they will become emotionally overwhelmed. Best for: increasing positive emotions and feelings of connection and well-being. When we see the stereotypically ‘cheerful Buddhist’ they are typically well practiced in these techniques. Non Dual awareness is one of the more advanced meditation stages. Some schools, however, emphasise its importance right from the beginning of practice. Essentially non-dual awareness means not two, or formless. It’s an awareness that can be considered to both precede and transcend any thoughts, sensations or objects. Eventually, you want to be able to sustain the awareness even while been aware of and engaging with the world of form. There are various ways to enter a non-dual state, for example, meditating on the absolute or on nothingness, the use of koans and riddles, questions and self-inquiry, and focusing on the awareness of awareness. The last of these is what many teachers start with and has been popularised in the West through the books of Eckhart Tolle. Non Dual meditative states have been found to be associated with a significant decrease in the Default Model Network (DMN). This network includes a series of centers that work together to create a sense of self in the individual. When the network is overactive or is communicating ineffectively, we often have an imbalance of self-referential processes and experience affective disorders such as depression or anxiety. When it is reduced, feelings of connective and oneness increase. Best for: cultivating a deep background of peace that lasts in all situations and seeing ‘the ultimate truth’. Very advanced practitioners and ‘enlightened’ beings usually report that they are resting in a state of nondual awareness. Ensuring real behavioural change with meditation is a matter of finding the right technique and sticking with it. It’s important to stick with a practice for at least a few weeks, preferably more than a month if you want to know that it’s right for you. What experience have you had with these practices? Let me know in the comments! Being mostly familiar with Vipassana, I learned from my teachers Metta meditation too. Also concentration meditation is being taught within my lineage as a means to start to get “deeper”. I for myself found them all very well grounded in the dharma (of course). So, I guess you’ve given us a very useful key to our practice. Thank you!